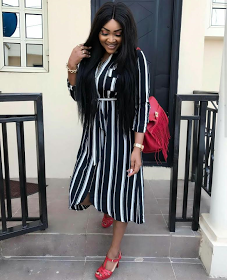 Mercy Aigbe's marriage to Lanre Gentry may have crashed over domestic violence and infidelity allegations, but she isn't letting it affect her life anymore! 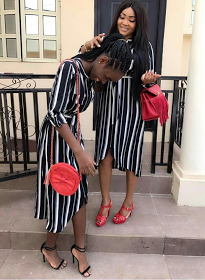 The actress stepped out rocking matching stripped clothes together with her daughter, Michelle, on Saturday. another photo after the cut.